IMDb’s entry of Jesus of Nazareth featuring full cast, crew etc. 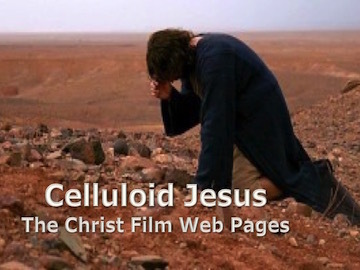 Posts on Matt Page’s Bible Films Blog about Jesus of Nazareth. Posts on my blog about Jesus of Nazareth. Posts on Peter Chattaway’s FilmChat blog about Jesus of Nazareth. A helpful guide to the different versions of Jesus of Nazareth. Where can I get hold of Jesus of Nazareth? Recommended version: Jesus of Nazareth DVD (Amazon): 382 minute version on 2 discs (but with only a handful of special features). This version includes scenes missing on many other DVD and blu-ray releases. The film is currently available on Amazon Prime in a the four episode version, including opening and closing credits, but it is missing key scenes that appear in the 382 minute version in the previous link (e.g. Prophecy of Judas’s Betrayal and of Peter’s denial). There is also a 40th anniversary edition, but it is missing several scenes and is not, apparently, the full 382 minute version. The film occasionally turns up on TV, especially at Easter. It is pretty straightforward to get hold of unofficial versions.